Meralco finally notched its first win of the season even as Rain or Shine continued its strong play in the 2015-2016 PBA Philippine Cup. 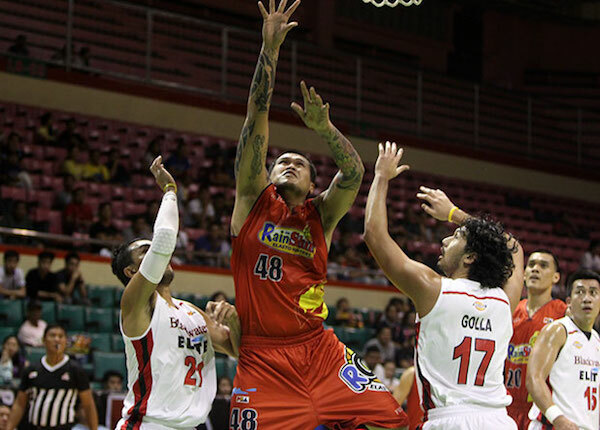 The Rain or Shine Elasto Painters flexed their muscles in the second half to drub the Blackwater Elite, 103-81, in the SMART BRO PBA Philippine Cup Saturday at Cuneta Astrodome. Jericho Cruz had a prolific day on offense, pouring in 23 points to lead the Elasto Painters (4-1) who rose to the top spot as they tied San Miguel Beer and Alaska. 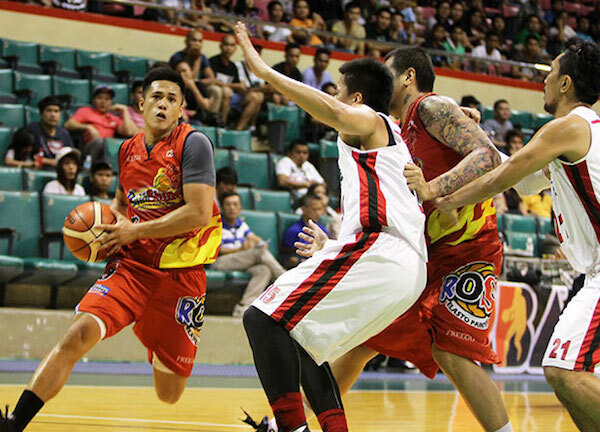 Jewel Ponferrada added 15 points, Beau Belga contributed 12 and JR Quinahan scored 11. The Elite were led by rooke Art Dela Cruz’s 15 points and went down to a 1-4 slate. Jericho Cruz (ROS) - 23pts, 2rebs, 2asts, 1stl, 8/10 FGs, 3 triples. JP Erram (BLA) - 14pts, 11rebs, 1ast, 1stl, 2blks. Jericho Cruz is on the rise in the PBA. JR Quiñahan bullies his way underneath for the bucket. 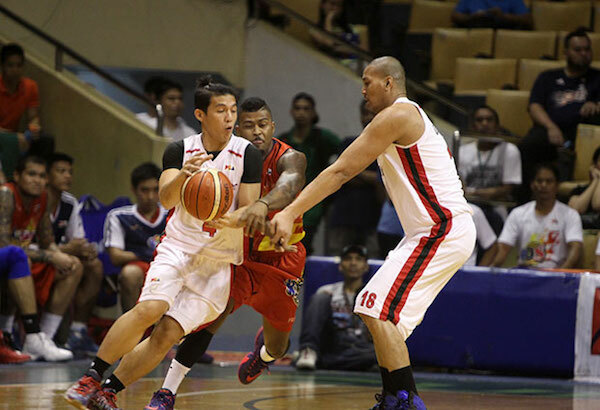 Raffy Reyes gets the hand-off against the Painters. 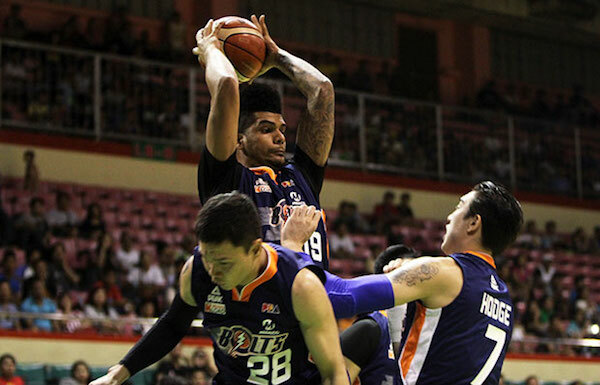 The Meralco Bolts finally barged into the winning column as they dispatched the Star Hotshots, 87-83, in the SMART BRO PBA Philippine Cup Saturday night at Cuneta Astrodome. 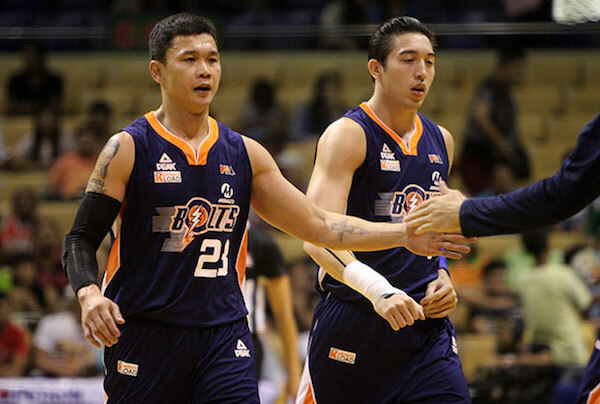 Gary David scored 26 points as he towed the Bolts (1-5) to their first win of the season after having a 0-5 start. The Bolts, behind David, came back from an eight-point deficit and built their own eight-point spread, 87-79, in the closing minutes. Star was able to trim it to just foUr, 87-83, and had a chance to trim it further after forcing a turnover. But Cliff Hodge disrupted a alley-oop pass intended for Marc Pingris to allow Meralco to grab the win. 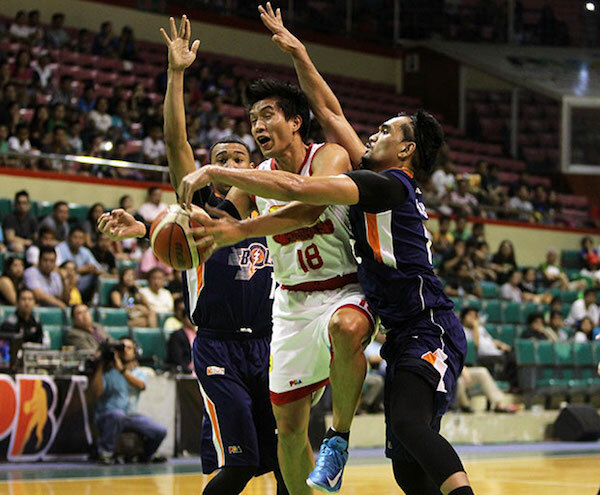 James Yap matched David’s output with 26 markers, 13 of which came in the first quarter, as Star lost their second straight game for a 2-4 slate. Gary David (MER) - 26pts, 4rebs, 1ast, 1stl. James Yap (STA) - 26pts, 6rebs, 1stl, 3 triples. 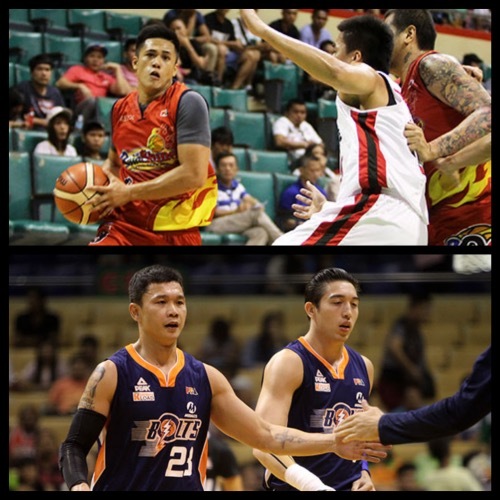 Gary David caught fire again as Meralco finally notched a W.
James Yap runs into heavy traffic againset Meralco. Rabeh Al-Hussaini continues to struggle in his return to the PBA.